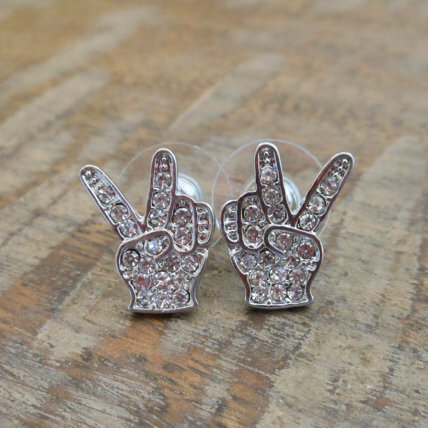 Pretty Silver Peace Sign Earrings are really cool! Clear crystals cover a silver-toned earring. Metal and plastic backs add comfort. Looks groovy with everything!